Real estate is a multi-layered industry with many pathways, depending on one’s opportunity, interests, aptitudes, skills, and of course, the market. Hear others’ experiences and consider how you might use your own talents to best effect in a dynamic industry like real estate. The event will feature an all-women panel of experts from the development, financing and asset management sectors of the industry with the goal of helping attendees better understand different career options in real estate. This event is open to everyone, including those not in the real estate industry. Jean has worked for Stanford University since January 2001. In 2006, Jean became the Managing Director of the Real Estate division (now Associate Vice President) overseeing all of the Stanford Founding Grant lands that have been designated by the University Board of Trustees for the production of income, including the Stanford Research Park. The $4.5 billion Stanford Real Estate portfolio consists of directly controlled assets as well as long-term ground leases controlled by both real estate investors and direct users. There are 14.9 million square feet of improvements including office/R&D, hospitality, multi-family and retail, with approximately 85% ground leased to third parties. The Real Estate division’s responsibilities range from asset management, direct development, and implementing long-term strategic plans for the portfolio, as well as overseeing faculty housing development for the University’s own use. Prior to Stanford, Jean worked for Northwestern Mutual Life Insurance Company for 14 years in their Real Estate Investment Division as a Director in both Asset Management and Loan Production and Acquisitions. Jean holds a Bachelor of Arts in economics from the University of California, Berkeley and a Master of Business Administration in real estate finance from Golden Gate University. Alice Devine consults and provides corporate training for real estate professionals seeking improved tenant retention and leasing results. She has over twenty-five years of commercial real estate experience. As a director of leasing for William Wilson & Associates (now part of EQ Office), Alice was responsible for marketing and leasing a multi-million square foot portfolio of Class A office space in the San Francisco Bay Area. She also created and taught a company-wide program focused on leasing and tenant retention. Earlier, Alice served as an asset manager at Norris, Beggs & Simpson, responsible for leasing and managing a medical and office portfolio. She has written for a variety of industry journals including NAIOP’s Development magazine, The Journal of Property Management, Office 21, and has a recently published book. Alice holds a Bachelor of Arts in economics from the University of California, Berkeley and has earned the Certified Property Manager and Real Property Administrator designations from the Institute of Real Estate Management and the Building Owners and Managers Institute, respectively. Alice is a former board member and active volunteer at Rebuilding Together, a non-profit that renovates homes and community centers. As Chief Executive Officer for Related California's Northern California Affordable Division and recently opened office in Portland, Oregon, Ms. Silverberg is responsible for the strategic direction, overall management and daily operation of the company's Northern California affordable pipeline and portfolio. Prior to joining Related California, Ms. Silverberg was Executive Vice President and Chief Investment Officer at BRIDGE Housing Corporation where she was responsible for directing and overseeing their Northern California Division. She led the development and redevelopment of more than 8,000 affordable, mixed-income, mixed-use and transit-oriented housing units, including the acquisition and redevelopment of nearly 1,000 public housing units in San Francisco and Sacramento, the joint venture development of mixed-income residential units with Essex in the Transbay area of San Francisco, and 306 mixed-income residential units in Milpitas. She was also responsible for the capital aggregation and equity and debt for their Low Income Housing Tax Credit (LIHTC) and non-LIHTC developments and has overseen the negotiation and placement of over $2 billion in project level debt and equity. Ms. Silverberg brings more than 25 years of development and finance experience to Related. Ann holds a Master of City and Regional Planning from the University of California, Berkeley and a Bachelor of Arts from the University of California, Los Angeles. She is a past President of the Board of Directors of the Non-Profit Housing Association. She currently serves on the Board of Directors and Executive Committee of the California Housing Consortium and is a faculty lecturer at the University of California, Berkeley. Since joining Sares Regis in 2012, Janice Yuen has managed nine different projects totaling over 2.5 million square feet. As the project lead, Janice decides the overall strategy and direction of a given project, managing teams of 60-80 people comprised of contractors and consultants. She is the primary liaison with outside parties such as project owners, financial partners, the city, and third-party agencies, and coordinates with all parties alongside her Sares Regis team. In addition, Janice has played an integral role in the management and growth of the commercial development division from seven to over 45 employees during her tenure. Covering commercial real estate, hospitality, housing, senior housing, and public projects, Janice actively manages four current projects—a 300-unit hospitality project, a 300-home apartment and condominium project, a 180,000-square-foot tenant improvement office project, and a net-zero LEED Platinum family office of tech executives. Janice collaborates with the world’s most innovative thought leaders and progressive sustainability experts to not only deliver built environments that meet the dynamic needs of future generations, but also to help disrupt and revolutionize the industry. Janice is well respected by her clients and peers in the commercial real estate industry and was awarded the Women of Influence Rising Star Award by the San Francisco Business Times and was named to Silicon Valley Business Journal’s 40 Under 40 list. Prior to receiving her M.B.A. from UC Berkeley’s Haas School of Business with an emphasis on Real Estate Development, Janice worked on $3B worth of deals at Lehman Brothers Holdings through the Great Recession, surviving four rounds of layoffs. She then moved on to found her own real estate consulting firm for international clients. As a Vice President at NorthMarq San Francisco, Briana is responsible for placing both debt and equity for clients with a focus on Bay Area financing. Since joining NorthMarq, she has assisted with closing over $2 billion in debt and equity transactions covering the full spectrum of lender and product types. Briana enjoys the uniqueness of every transaction and firmly believes that the most optimal capital structure will be uncovered through a diligent and focused process. She leverages her knowledge of the market, a reliable out-to-market strategy, and her strong relationships with lenders to bring the best debt and equity options to her clients. Briana is an active member of NAIOP, where she currently serves as co-chair of the Young Professionals Group Alumni Committee. Deeply rooted to Cal and Haas through her education, she is also on the Board of Directors of the Berkeley Real Estate Alumni Association. 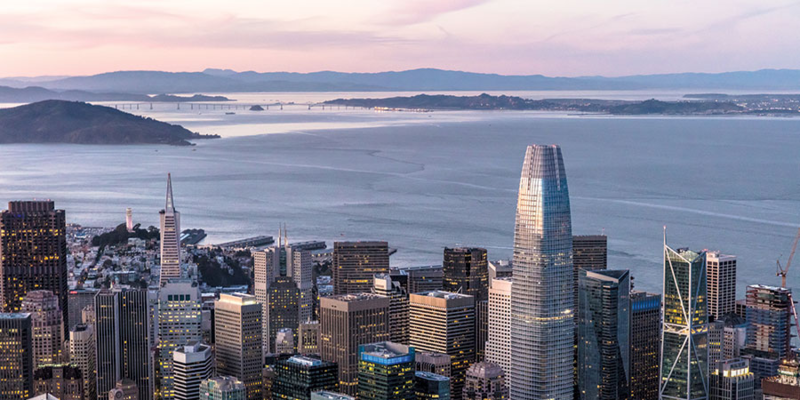 Additional organizations that keep her connected and in front of market trends are Urban Land Institute San Francisco, the Bay Area Mortgage Association, the Mortgage Bankers Association, SF WIRE, and CREW. After several years of working in medical imaging sales, Briana decided to pursue her Master of Business Administration from the Haas School of Business at the University of California, Berkeley. At Haas she discovered her passion for commercial real estate and joined the team at NorthMarq San Francisco. She also completed her undergraduate work at U.C. Berkeley, where she played Division I Field Hockey. Briana continues to pursue her passion for sports and team camaraderie, and is currently a member of the Olympic Club’s Women’s Field Hockey team. Allie manages the initial conceptualization, entitlement, design, capital structuring, and construction of developments comprised of over 360 units of housing with a combined total development cost of over $220 million. Allie holds a Master of City and Regional Planning from the University of California, Berkeley concentrating on the intersection of urban design and real estate and a Bachelor of Arts in American studies and legal studies from Trinity College-Hartford as well as a Bachelor’s degree in Spanish language and literature from Univeristat Pompeu Fabra.